Jay & Joyce Santos have been married 10 years and together, raise four beautiful children: Aysia, Myles, Dylan & Aya. 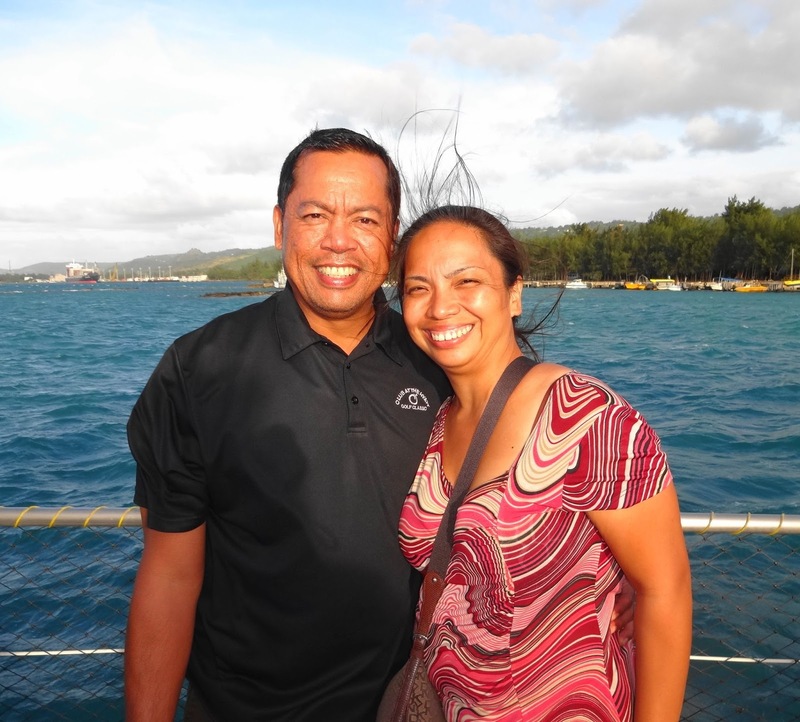 Last October, the Santos' were encountered for the first time at the Kanoa Resort and that Weekend literally transformed their lives for the better! They were initially hesitant to attend, not knowing what they were getting themselves into, but they were relieved to learn that the 48 hours away from the usual busyness of life presented them a unique opportunity to spend that quality time together. In essence, they received the precious gift of time ~ time to re-discover each other as husband and wife. Throughout the Weekend, they gave each other undivided attention without interruption. And, they were not required to share any of their personal details with any of the other couples. ME's Presenting Couples & Priest facilitated the discussions and the couples were there to learn better tools of communication. Scroll forward 10 months and the Santos' are HAPPIER THAN EVER! Their love for each other and their kids shines radiantly. You can see it, hear it and feel it when they're together! They've made their marriage a priority through their decision to love. After the initial Weekend, they joined the post Weekend enrichment course called Steps Along the Journey. They completed that and the "graduate course" aptly named Steeper Steps. Now, they've enrolled in the "5 Languages of Love" and continue to contribute to the CNMI Marriage Encounter Community. Most recently, they volunteered to be the Co-Coordinators for the Fall Weekend scheduled for November 8~10, 2013. Yes, less than a year ago, they were not encountered. Today, they'll be organizing the next Weekend for new couples. They're truly "paying it forward" to provide other couples a chance to re-ignite their marriages and family life. Don't lose this opportunity to strengthen your marriage. Do it for your spouse and your kids!